When we got engaged after being together for six years, I had questions: how do we get married? Do I change my name? And how do you get good at being married? I never wanted a wedding and neither of us wanted to get married in a church, so we had a lot of nontraditional options open to us. After a lot of discussion about small ceremonies and eloping, we decided to elope and have our wedding day be 100% about us. We spent our wedding day sleeping in, going to brunch, getting all dressed up, having photos taken, signing our marriage license, and having dinner together. A month later, we had a big party back home with hoagies and sheet cake to celebrate with our families. We had the best of both worlds: a day for us and a day to celebrate with everyone we love. Initially, I thought there would be resistance to our unorthodox plans, but people were incredibly supportive. After we decided how to get married, I started to think about my name. “Do I keep my name? Do I make my maiden name my middle name? Do I hyphenate? Do I ask him to take my name? Do we make a new last name and change both of our names? Will it make me less of a feminist to take his name?” Though rooted in some pretty questionable (and very sexist) practices, I know that I am not my husband’s property, I am my own person, and my name does not define who I am. I can vote, own property, and open a bank account without his help. I didn’t have to change my name, I wanted to. No matter what, my name won’t change the things I believe in. With how to get married and what to do with my name figured out, we could focus on the biggest issue: how to stay happily married. As a society, we don’t talk much about the nuts and bolts of marriage. There are one billion websites, blogs, TV shows, and YouTube channels dedicated to dating and how to get married, but there are markedly less things out there about how to stay married. The things I do see about how to have a “good” marriage are usually faith-based, which pose a slight problem for this agnostic woman and her atheist husband. Since we’ve been together for almost nine years, marriage is a step up in commitment. Getting divorced is so much more complicated than breaking up. I think it’s safe to assume that most people enter into marriage with the intention of being married for a long time. And yet, a lot of people end up divorced. I think we have what it takes to stay together - being silly and making each other laugh until we cry for decades - but I can’t help but feel the small, quiet fear that whatever malaise infects other people’s marriages will get to mine soon enough; that there’s something inevitable coming for my marriage and I won’t know it until it’s too late. If the past nine years have taught us anything, it’s that we’re never done working on our relationship. There’s no autopilot, no set it and forget it option. 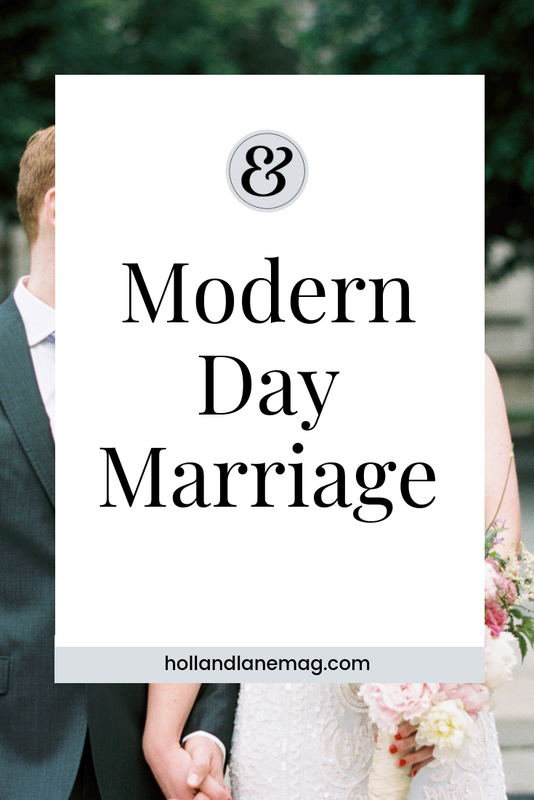 A relationship is constantly evolving and changing, and marriage is no different. At our we-got-married party, my great aunt came to say goodbye to me and she put her hands on my arms, looked me in the eye and said, “Just love each other every day.” And she’s right. We’re taking marriage one day at a time. To quote J.K. Rowling, “What's coming will come, and we'll meet it when it does.” As long as we can remember every single day why we like each other in the first place, I think we’ll be okay.